Scientific Edge / To raise a creative child, let them be! To raise a creative child, let them be! It’s every parent’s dream. Their child learns to read at age 2, play Beethoven at age 4, learn calculus by age 6, and speaks two languages fluently by age 8. Every parent and classmate envies this “gifted” child. However, child prodigies rarely become geniuses who revolutionize the world. We assume it’s because they lack competent social or emotional skills to excel, however, the evidence suggests otherwise. In fact, less than a quarter of these so “gifted” children suffer from any of this. The vast majority of them have perfectly normal social and emotional skills. So, what is holding them back? They don’t learn to be original. Many of these kids are constantly seeking their parent’s approval or their teacher’s admiration. They grow and perform their music in the most prestigious concerts, but then something unexpected happens. Practice makes perfect, but it doesn’t make new. The gifted learn to play Mozart and Bach melodies, but they rarely compose their own music. Their energy is so focused on consuming existing knowledge that they forget about producing new insights. 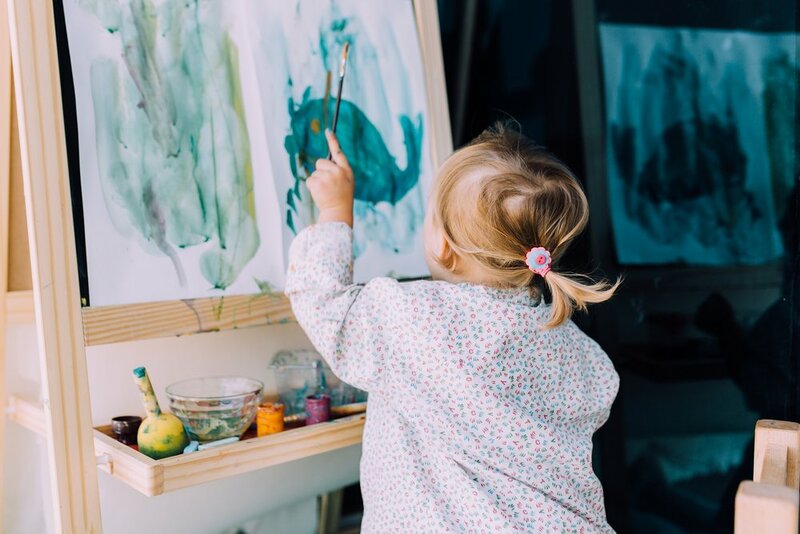 Research suggests that the most creative children are the least likely to become the star student at school and, thus, they tend to keep original ideas to themselves. In adulthood, many gifted children become experts in their jobs and become leaders. However, “only a fraction become revolutionary adult creators”, comments psychologist Ellen Winner. So what makes a creative child? One study compared families of children who were rated among the most creative 5% in their school system with those who were unusually creative. The parents of ordinary children had an average of 6 rules at home, specific schedules needed to be followed for homework and bedtime. Parents of highly creative children had an average of fewer than one rule at home. Creativity may be difficult to nurture, but can be easily diminished. By limiting rules, parents encourage their kids to think for themselves. According to Harvard psychologist Teresa Amabile, these parents tended to “place emphasis on moral values, rather than specific rules”. When psychologist compared America’s most creative architects with a group of highly skilled, but unoriginal peers, there was something unique about the parents of these highly creative architects: Their parents emphasized the development of one’s own ethical code. This does not mean that their parents did not encourage the pursuit of excellence and success, but they also encouraged joy in work. Their children had the freedom to discover their own interests and sort their own values. This set them up to flourish as creative adults. Another study was conducted by psychologist Benjamin Bloom where he studied the early roots of world-known musicians, athletes and scientists, and he learned that their parents didn’t dream of raising gifted children. They instead, responded to their children’s intrinsic motivation. Parents supported their child’s interest and enthusiasm in a skill. The same can be said by top concert pianists who never had elite teachers at an early age, their first lessons came from instructors that lived nearby and made learning fun. Mozart showed interest in music before taking lessons, not the other way around. Since Malcolm Gladwell proposed the “10,000-hour rule”, that suggested that success depended on the time that was spent practicing, there has been a debate about it and two questions arose. Can’t practice itself blind us to ways to improve our area of study? Research suggests the more we practice, the more we becomes trapped in a familiar way of thinking. What motivates people to practice a skill for thousands of hours? Passion. This is discovered through innate curiosity or nurtured through early enjoyable experiences. Evidence demonstrates that creative contributions depend on broadness, not just depth of knowledge and experience. You can’t program a child to become creative. If you want your children to bring revolutionary ideas into the world, let them pursue their passions. Why are baby boys more vulnerable when facing stress?